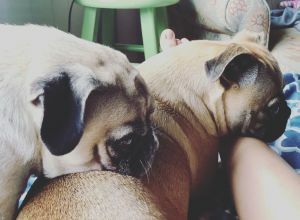 Monroe and Rosie | Pug in . I have 2 dogs. Monroe is 5 and has a bad hip and sometimes needs a break from her 2 year old pug/boston terrier sister.